Like Dinner by Heston Blumenthal, Gilbert Scott is set to celebrate British cooking. Though unlike Heston who spent a long time exploring old traditional British recipes, Marcus focuses on British regional culinary history and stays closer to the original recipes. 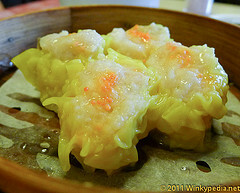 Its website claims that they are ‘subtly modernising traditional dishes to unusual effect’. Did it live up to its claims? We were not the only ones keen to find out. Jeremy Wayne, Tatler magazine’s restaurant editor, was sitting next to us. We only noticed him because he was writing notes on an envelope (?!) before the food even arrived. He was greeted by the Matire’D and was given a special business card. 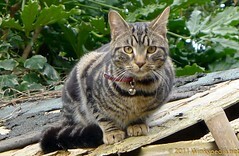 We could not help but spying on him and this kept us entertained for a while. The poor guy probably thought we were some crazy Chinese tourists! 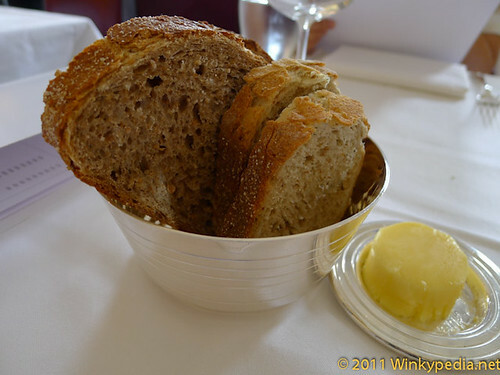 I have to mention the bread as it was amazing, especially the fennel seed and sage one. Apparently it was a special recipe from the 1950s. The crust was thin but crisp and the seeds made it fun to eat. The butter was soft and rich in flavour. My sister wished that they would provide us with bread plates though as it was hard not to get crumbs on the table. 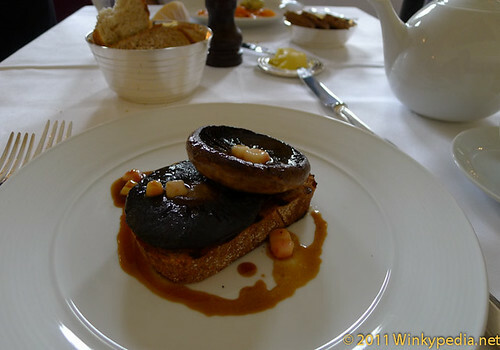 My starter, Mushrooms on sippets (photo above), was served with red wine sauce with bone marrow. Bone marrow seems to have become a trendy ingredient recently . I have seen it in many fine dining restaurants. I liked its texture. The toast was perfectly grilled. There was no wow factor though. I actually prefer my sister’s Brown and Forrest salmon (second photo from the top), which was served with soda bread and caper butter. The salmon was fresh and moist. It is lightly cured. Hmmm, not sure about the soda bread though. As an oyster lover, I was not tempted by Maldon rock oysters on the menu. I have tried them fresh at the Company Shed in Mersea, whose owner supplies them to restaurants across Britain. They are not as big and tasty as the Pacific ones. I know the latter are not British but taste matters more to me! 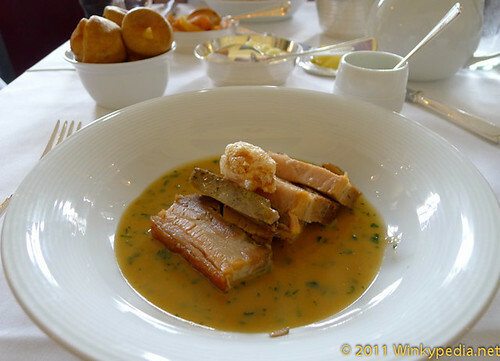 The most impressive dish was Great Garnett’s farm pork belly (photo below). It simply melted in my mouth! 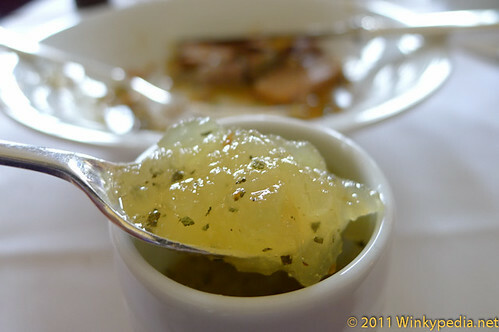 The apple and sage jam (second photo below) was refreshing and not too sweet. 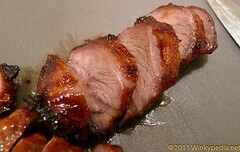 The sauce was light and enhanced the flavour of the pork. 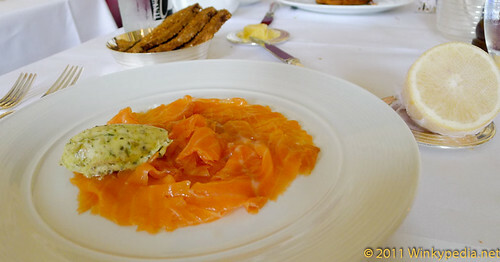 It easily trumped the one we had at Nopi by Ottolenghi and The Riding House Cafe by miles. It came in thin slices but only one of them had crispy skin. I am guessing the rest has gone to the pork scratchings? I wished there were more! 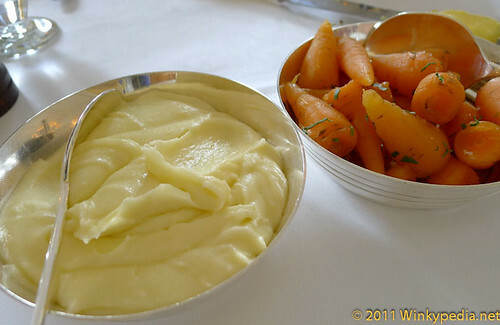 A side dish I recommend is the mash potato (photo below). It was smooth but not too buttery. It also had a strong potato flavour. It was a touch too salty but bearable. Sadly, my sister’s The Queen’s Potage (photo below) was forgettable. 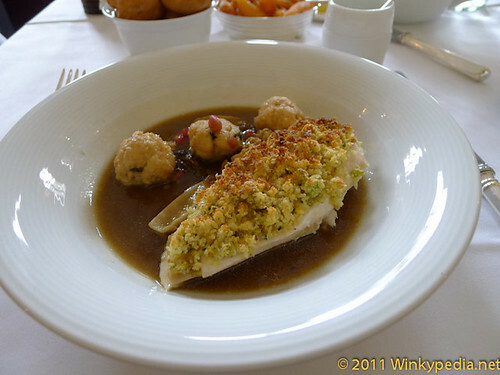 The chicken breast was tender, which, in our opinion, is rare to find in most restaurants in London. (Generally I find that it is more likely for me to get tender chicken thighs when dining out.) Unfortunately, it was rather tasteless. The texture of chicken meat balls were not as exciting to usas the Chinese version we are used to. Did the Queen really have that? Apparently, the original recipe was from John Nott’s Cooks and Confectioners’s Dictionary, published in 1723, included cockscomb. Marcus decided to skip that in order not to put diners off. Perhaps this missing ingredient would have made this dish more tasty/interesting? 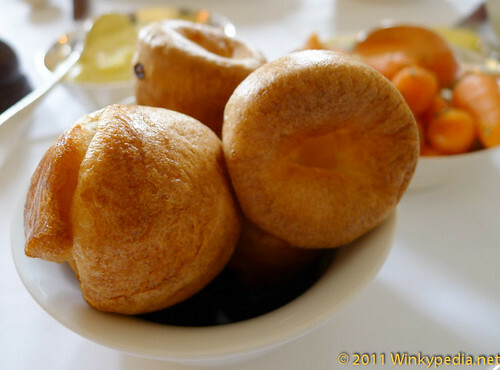 My sister is a great fan of Yorkshire pudding (photo below) so we ordered it as a side dish. I found it a little odd that it was offered as a side dish in the first place. In the waitress’ own words, it was served ‘floating on its sauce’. Disappointingly, the sauce was too salty and it ruined my amazing sauce for my pork belly! The texture and taste of the cute little pudding was great though. Good job it was only floating so most of them were not wasted. If your main dish came with a sauce, I suggest you using that sauce for the Yorkshire pudding instead. By the time we were checking out the dessert menu, Jeremy Wayne had finished two starters and one main course. 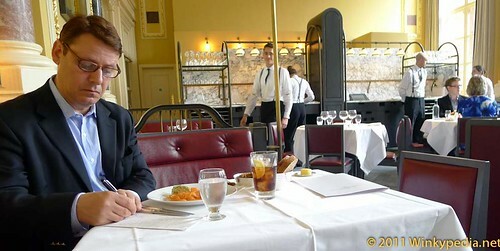 Though he had checked out the wine list, he only ordered a coke and tap water. We were curious what he was going to have for dessert but he actually did not order any. It did not mean he was not served any though- he was given complimentary dessert which was a selection of berries! He did ask for the bill but was told that the meal was on the house (the perk of being a restaurant critic, I suppose!) Hmm, I have more respect for critics who pay for their own meal. I am curious whether his review was going to be truthful. After Jeremy left, we felt that we got more attention from our waitress. We could not blame her- if the review was bad she would have been in trouble. What I did not like was that the Matire ‘D kept whispering to her in close proximity from the tables of Jeremy and our own. I much prefer them to do so behind the scene. The General Manager, Chantelle Nicolson, walked around and greeted some well-heeled diners but she ignored us throughout. 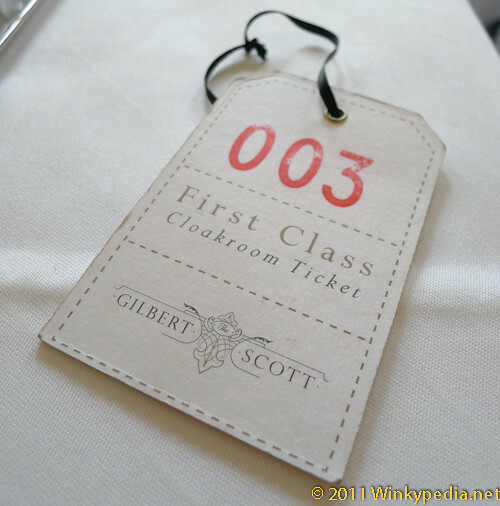 Hmm, not only the food was British, it seemed that the emphasis of class was also a feature too. The Matire ‘D was never bothered to check on us neither. We felt a little outcast. 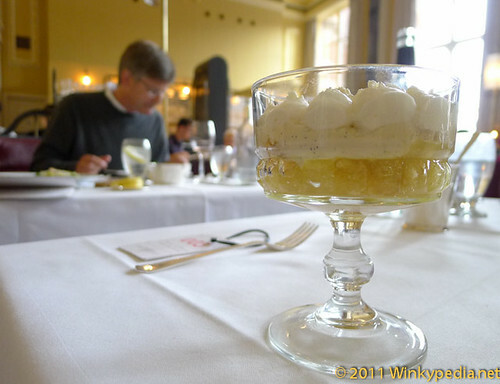 For dessert, I had Lord Mayor’s trifle (photo above) which was said to be made of pineapple, coconut and rum. The former two are my all time favourite ingredients! I could not taste any coconut but the pineapple was fresh and matched well with the vanilla cream. It was a little hard to eat it from the glass with a dessert spoon. Good job that Marcus followed tradition to provide dessert spoon for dessert. However, with a glass small like this, I would rather have with teaspoon- the modern way! 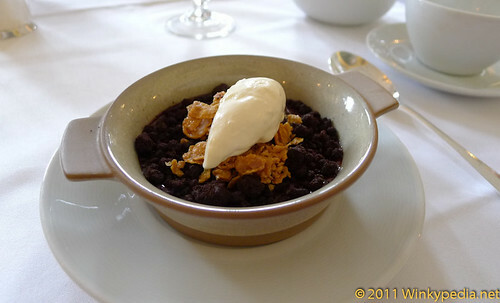 My sister was very impressed with her Warm chocolate in a pot with chocolate cornflakes. So was I! We were not bothered by the fact that the cornflakes were not chocolate at all. The chocolate base was a thick mouse which was amazing! Now came my mint tea test (photo above). 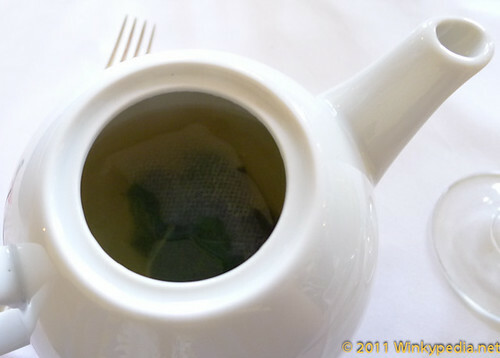 Interestingly, the fresh mint was put in a small bag so that the leaves would not come out from the teapot. Great attention to detail! 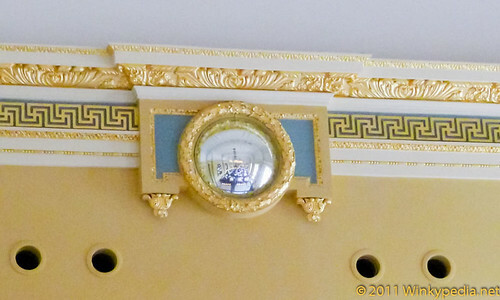 There were some curious details in the dining area, like the Chinese Feng Shui mirror look-alike at the end of the room. Was it really one for feng shui or was it an original period feature? 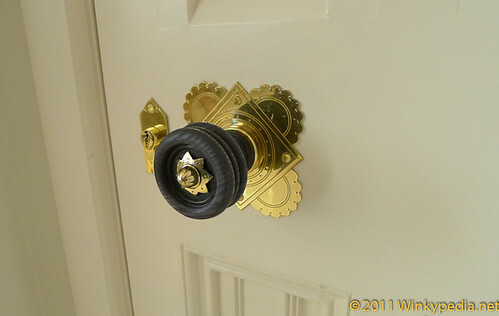 The door handle at the toilet (Yes, I checked out the toilet again- Just could not help my architect bug!) was bizarre. 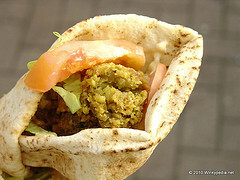 It was like it was wrapped in a mini tyre (photo below). 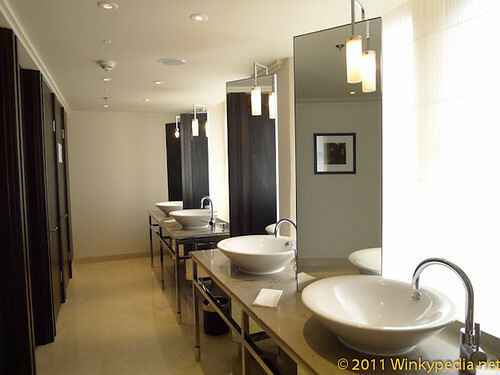 Comparing to the rest of the architecture in the restaurant and the hotel itself, the toilet design was contemporary but dull. 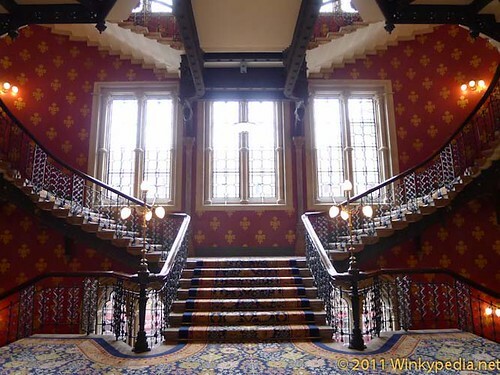 But it provided us a short cut to get access to the famous Grand Staircase of St. Pancras Hotel, which was guarded by a man in black suit at the bottom flight. Was he there to stop people posing like the Spice Girls back in 1996 for the song Wannabe? Anyway, he gave us a dirty look when we walked close by. 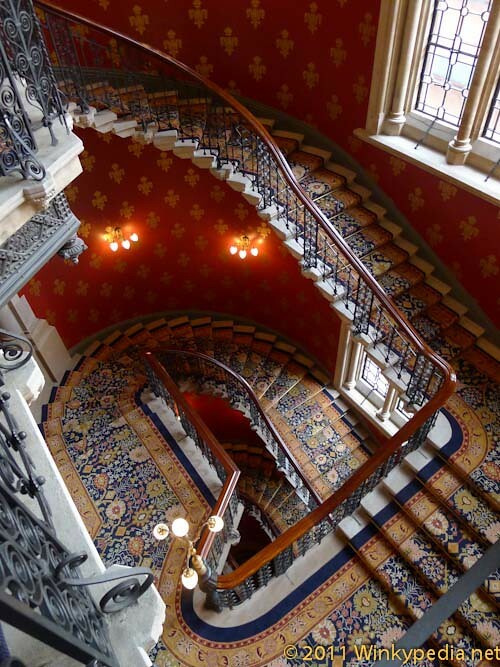 We walked up a floor via the stairs to the toilet and wandered around instead – Security loophole! Take this route before they find out! 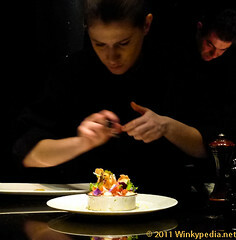 I nearly forgot mentioning the Chef’s Table though all I had to say was that I think it is actually forgettable. It was down in the basement, next to the kitchen. I know it was supposed to be special to dine at this table as you got to watch the Chefs prepared your food and they would explain all the dishes to you. But it was in a dingy basement with boring decoration! 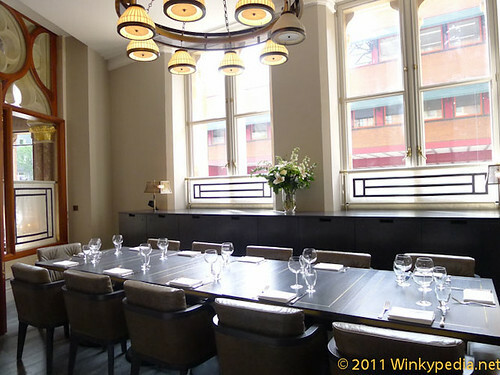 I would rather eat in the dining area or book the private dining room on the ground floor (two photos down) instead! I must say, the kitchen was amazingly tidy! We did not try the bar but I could see it would have been a nice place for cocktails (photo below). It has a certain old style glamour! 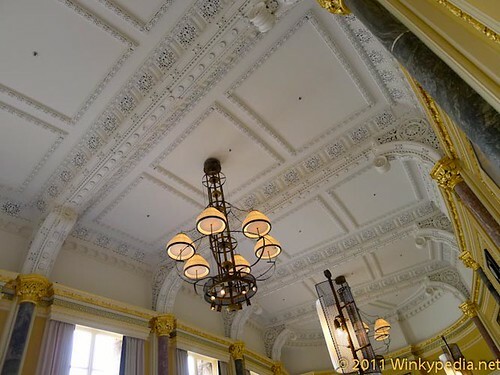 Even if your date was dull you could look up and check out the amazing period features! 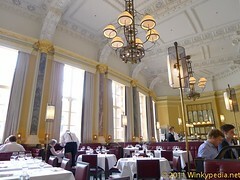 In all, dining at Gilbert Scott was a wonderful experience. The food only had a handful of memorable surprises. However, it was well prepared with great care. 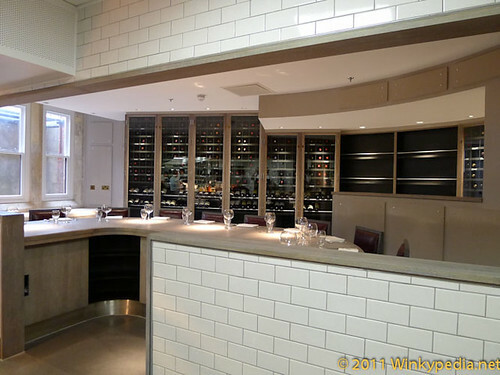 The interior was fantastic and this contributed to the four stars. The crowd was an interesting mix with tourists (It is right by St Pancras International Station after all), posh English and us! Oh really? 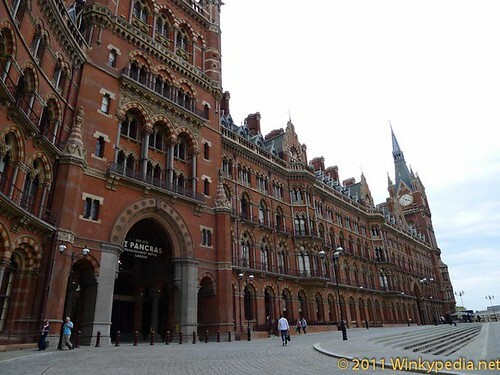 I thought our meal was pretty average but the day was saved by the architecture! 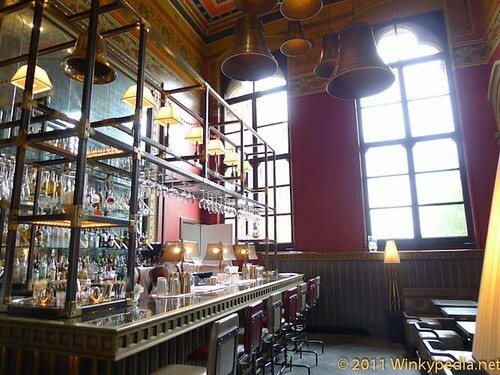 I had drinks at the Gilbert Scott bar last night – very atmospheric place in the evening, especially when it’s rainy and dark outside. Good wine list and great cheese board. Came with chcolate bread and savoury oatcakes. And the best thing – smoked butter popcorn with the drinks! The Bar certainly has old style glamour! I have not tried the cocktail though. But chocolate bread with cheese sounds interesting! 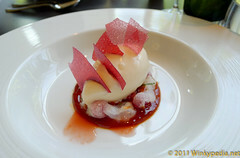 We were underwhelmed by the meal, particularly the meringue, as it tasted like a packet meringue nest. Yeah, I like the bar, it’s got a good vibe.